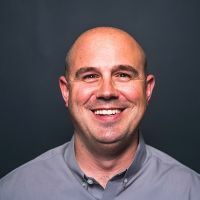 The cloud hosting market is crowded and competitive, with many providers, large and small, shouting the same message and clamouring for the same customers. 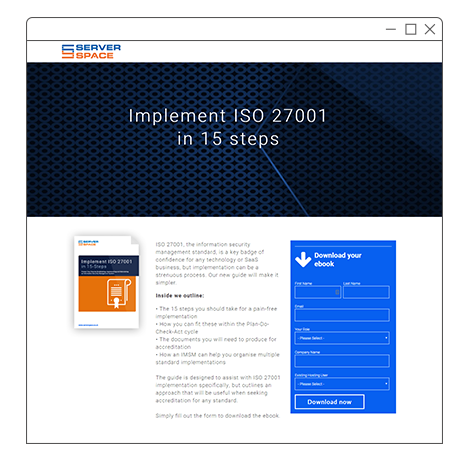 Our inbound marketing service was already generating results for ServerSpace, a small and successful cloud hosting company based in London, but the generic messaging and design of its website was holding these results back. In crowded markets like cloud hosting, specialisation and differentiation are the keys to sustainable growth, but only when properly communicated. How a company positions itself, primarily through its website content, is central to the effectiveness of this strategy. 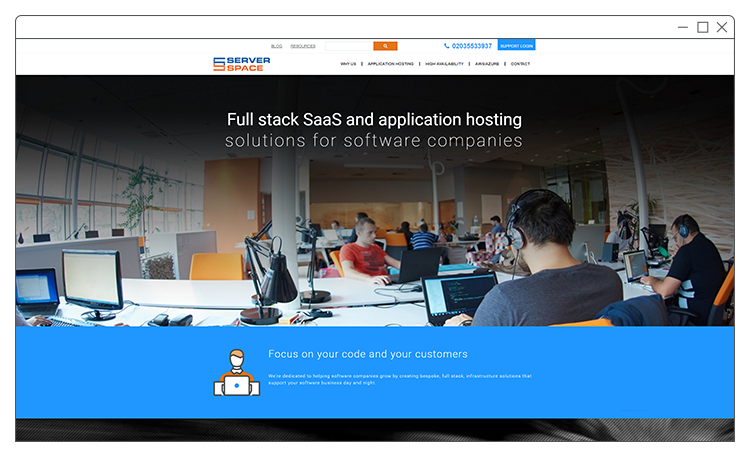 Knowing that its ideal buyers are Independent Software Vendors (ISVs) and Software as a Service (SaaS) companies with complex requirements, Blend developed a completely new website for ServerSpace, on the HubSpot COS, that effectively targets the right personas. 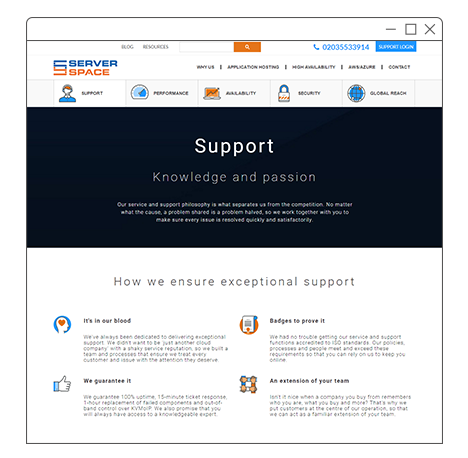 See the ServerSpace website here. From the very first impression made, right through to the bottom-of-the-funnel conversion, the content and the customer journey has been built around the key buyers and their requirements. 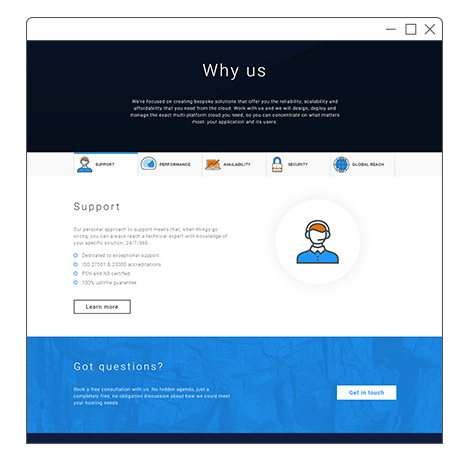 The website is fully integrated with ServerSpace's inbound marketing strategy and leverages the power of HubSpot at all stages of the buyer’s decision making process. Throughout their journey, visitors are offered relevant calls to action - made intelligent with HubSpot's contextual marketing tools. All conversions are made through HubSpot landing pages where smart forms progressively profile leads and analytics show us which offers are performing best and why. HubSpot workflows nurture new leads with ServerSpace's library of educational content and pass marketing qualified leads to the sales team when ready. 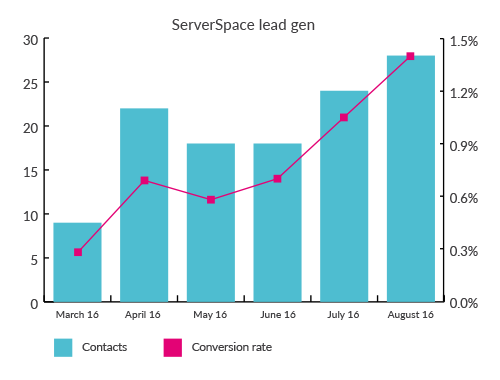 In the 5 months since we launched the new website ServerSpace has seen a 150% increase in the visitor to lead conversion rate, up from 0.55% to 1.40% and climbing. Landing pages hosting the top performing content offers covert at an average of 28% while a bottom of the funnel consultation offer now converts at an impressive 12%. The net effect of these improvements has been a step change in website lead generation, supplementing other sources of opportunities with high value prospects. The new website is supported by the ongoing inbound marketing strategy. 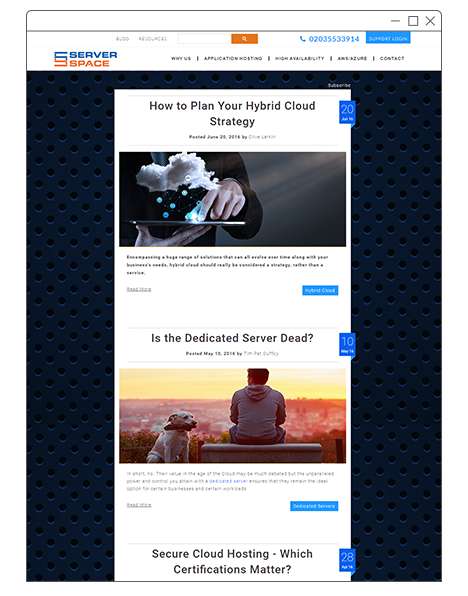 The ServerSpace blog, featuring informative and educational articles on the highly technical subject of cloud computing, helps to attract the right visitors to the site. Content offers, on topics including cloud hosting costs, containerisation and ISO certification, convert more and more visitors into leads every month. The new website moves these prospects along the funnel and towards sales engagement thanks to clear positioning of ServerSpace's specialism and expertise.